I bought a bottle of cranberry juice which said "100% juice" on the label. But, later, I found that the label said it included apple juice. I became confused and suspicious about fruit juice labels, a state which lasted many years. But it turns out that fruit juice labels are pretty comprehensible. I learned this from user rumtscho's lovely post on this topic at cooking.stackexchange.com. The following is just a restatement of that post. 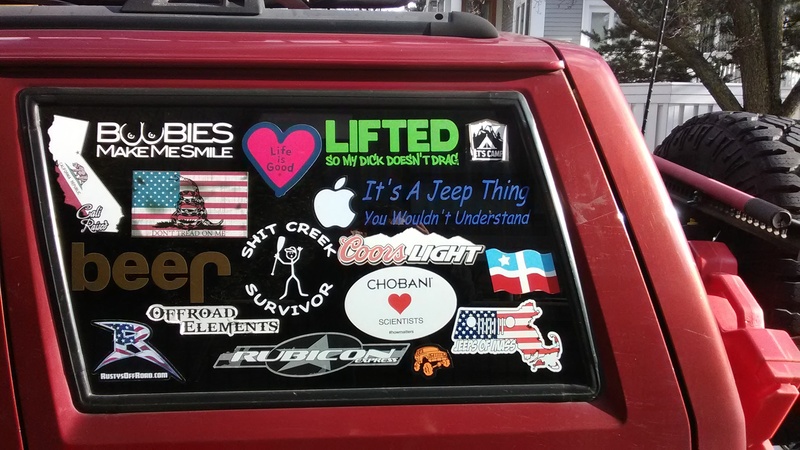 This Cambridge, MA Jeep's window presents a difficult case in bumper sticker analysis. What is the person like who would assemble such a collection? 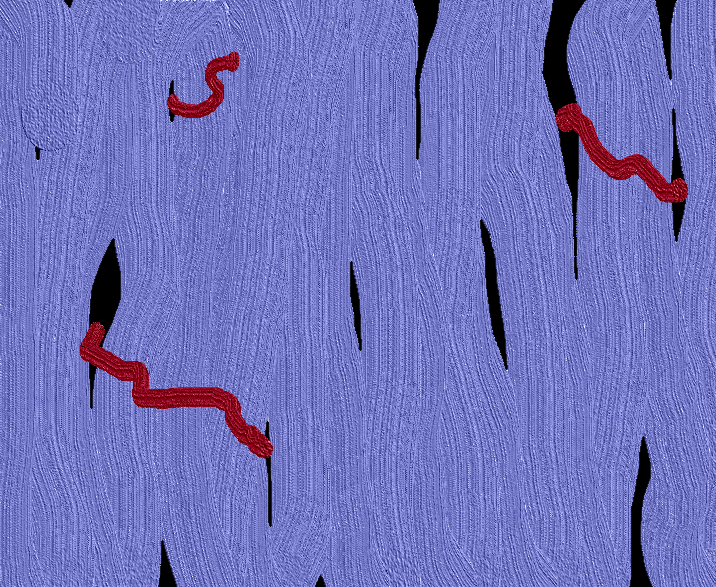 Drawn using MS Paint 3D, with the assistance and instruction of my friend Gaby Yeshua. Check out her Instagram for other lovely MS Paint 3D works! One way to convey digital information across distances is through copper wire (Ethernet cable). Here we just vary the voltage in the wire between two states A and B. When we are at A, we are sending a 0, and when we are at B we are sending a 1. What is voltage? Voltage is the delta between two points of an electrical field. These states are called symbols. Number of symbols / seconds is a unit called baud. If your symbol rate is 1 symbol per second, you are sending information at 1 baud. Question: we can write down a general formula for the roots of a quadratic, cubic, or quartic polynomial in terms of the coefficients. Why can't we do it for a quintic polynomial? Normal subgroups $N$ of $G$ are the only ones you can quotient by; i.e. you can write $G/N$ and it's a valid group. They are the kernel of some homomorphism $G \rightarrow H$, where $H$ is any other group. Kernel means every element gets mapped to the identity (the subgroup is "killed"). Why Does Multiplying Two Complex Numbers Add Their Angles? The complex number $z = a + bi$ can be drawn. Plot the imaginary part on the $y$-axis, and the real part on the $x$-axis.